Introduction– The Christian Education Ministry is one of the primary ministries to the body of Christ at Celebration Christian Center (CCC). The Christian Education Ministry is comprehensive, far reaching, and multifaceted inclusive of disciples of all ages. Characterized by its diversity, it offers opportunities for Bible study and spiritual growth through the identification, use, and development of one’s spiritual gifts. Christian Education is done not only through seminars, classes, and conferences at CCC but also other conferences and conventions around the country that are relevant and offer growth opportunities. Sunday School/Bible Institute – The Sunday School Department is such a critical part of the church. Throughout the Bible, God’s Word provides examples of how we are to go about doing our work for Him. Our love for God inspires us to give our very best to Him at all times. Let us always look to our Lord and Savior, Jesus Christ, the power of the Holy Spirit for strength and guidance in carrying forth this work to “reach, teach, win, nurture and hold God’s children. 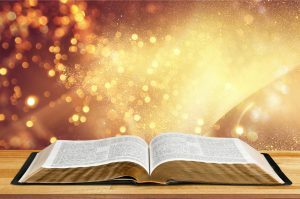 The Bible is taught to so that we may learn of God, the Father, the Son and the Holy Spirit that all may be saved; that the body of Christ may grow; that the building of the Kingdom of God continues until Jesus returns. Couples for Christ – This education ministry seeks to teach, edify, encourage, rebuke and challenge engaged and married couples through small group bible study. Our primary focus is to offer such classes to engaged couples and married couples to teach God’s plan for marriage to build and strengthen relationships. Except the lord builds the house, they labor in vain that build it… Psalm 127:1. Singles for Christ – This education ministry seeks to teach, edify, encourage, rebuke and challenge single individuals through small group bible study. The primary focus is to offer such classes to single individuals. Financial Ministries – God requires us to be faithful in the managing of our money. Unfortunately, Christians have usually been taught only how to handle ten percent of their income – the area of giving. Although this area is crucial. By default, Christians have learned how to handle the other ninety percent from man’s perspective, not God’s perspective. CCC teaches God’s principles of managing money. More important, people are entering into a closer relationship with Jesus Christ and are genuinely excited to discover that the Bible has more than 2,350 verses dealing with money and practical answers to their financial problems.